Good News for Trinbagonians living abroad. Our Company does not do any financing, but we will be able to assist you in obtaining a Mortgage by one of the financial institutions throughout Trinidad & Tobago which are set up for this purpose. In general, it is possible for Trinbagonians who do not live in Trinidad or Tobago, to obtain local mortgage financing. Typical norms are between 75% and 90% of the value/purchase price can be financed. If you are not residing in Trinidad or Tobago interest rates will be around 12% owner occupied (meaning: no other use) and around 14% plus for rental or income generating purposes. Mortgage interest rates also depend on the type of arrangement between yourself and the Mortgage Company and how many years the Mortgage is for. 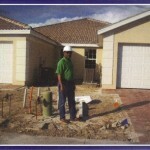 Therefore it is very important to get good and professional advice from a reputable Mortgage Company. 1. Be a Trinidad & Tobago National, or have Dual Citizenship or Residency Status. 2. Have a permanent job and/or enough collateral to cover for the amount you require. 3. Be between the ages of 18 and 60 years. If you are self -employed up to 65 years of age, but certain conditions will apply. 4. Have at least 3 years permanent work experience. 5. Have savings of a minimum of 10% of the cost/value of the property, plus fees etc. (an average of this cost is 5% of the value, but this varies). 6. Or if purchasing land alone, have savings of at least 25% of the cost/value whichever is lower, plus the average 5% for fees. Trinbagonians or Residents who are planning to return permanently to Trinidad but have lost their T&T Citizenship or Residency Status, you can re-apply, however be prepared that this is a lengthy process and will take at least 6 months to 1 year, so if you are planning to return immediately after you purchased a property, or in case you have to get a Mortgage, make sure you have your Citizenship or Residency status in order before making a deposit on a property. If you wish to get an idea of what a Mortgage will cost you, the monthly installments, or even find out if you can qualify, you can use our On Line Mortgage Calculator below, and for the more elaborate Calculators, by clicking on the links below. Use this cost calculator to get a ROUGH indication of the cost to build a basic* residential home in Trinidad. Prices given are in Trinidad and Tobago dollars. Fill out the total floor area of your proposed building in Square Feet or Square Meters without commas or decimal points, choose your house type and the low or high price per Square Foot. Results are for Trinidad. For Tobago multiply results with 1.5 because of the higher labor and material costs. All calculated prices are for a BASIC* flat (bungalow) home, and can vary depending the complexity of your design, and choice of materials. The minimum size for a comfortable 3 bedroom family home is approx. 1,500 sf. or 140 m². This calculator is intended to give you an indication, the calculates prices are not final. Some builders will build for less, and some will charge more. The calculated prices do NOT include the price of the land. The calculated prices do NOT include appliances. The calculated prices include Septic systems. *“BASIC” meaning; A simple and square or rectangular home on ground level. Like on our House-Plans & Building Web Page, I would like to emphasize that without a building plan we can not give an accurate price no matter what the size is, because you can have hundreds of different styles of homes, all with the same square footage, but they will all have a different price, and the price difference between the lowest and the highest price can be tremendous. 30 year fixed rate financing. 15 year mortgages. Adjustable rates. Interest only. Unique programs designed to accommodate your specific needs and lifestyle. We understand that everyone has a unique financial situation and we are dedicated to providing a vast array of competitive programs to help you find the one that is right for you. Strong national partnerships allow us to offer competitive finance programs to help you find the one that is best for you. Our preferred lender, will take special steps to provide you the excellent customer service and personal attention you deserve. If self-employed, most recent two years’ tax returns and 1040s, W-2s, 1099s or K-1 for each borrower, as well as a year-to-date profit and loss statement. A credit report will be ordered as part of the mortgage application process. An appraisal will also be performed by a licensed Real Estate Appraiser to assess the value of the property you are purchasing with this loan. Costs for these services are included in your mortgage application fee. Income, asset and liability information provided on the mortgage loan application will be verified as part of the approval process. An underwriter will review your mortgage application and the information provided by or collected for you and will reach a loan decision based on several factors including income, assets, credit history and property value. 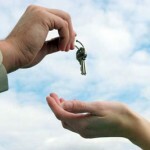 The closing documents are prepared by the lender’s closing department in coordination with the settlement agent. The settlement agent prepares the final HUD-1 form which is a detailed accounting of the entire financial transaction. At this time, the borrower can be told how much money they will need to bring to closing in addition to the loan amount. The HUD-1 form, along with several other documents, is signed at settlement. Both parties involved in the transaction must sign all the necessary documents. Once this takes place, funds are disbursed to the selling party to complete the sale. The settlement agent notifies the appropriate authorities that there has been a settlement on your property and that a note, mortgage and deed have been executed. These documents serve as security for the lender for the mortgaged property. You will receive information from the lender either at settlement or shortly thereafter outlining the ways in which you may make payments on your loan. This may be via a payment coupon book, monthly billing statement, or through automatic withdrawal from your bank account. The Construction Process with Allegiant Homes Ltd.
At Allegiant Homes, Ltd we value close supervision during the construction process to minimize errors and maximize our homeowners’ satisfaction and desires in their new home. A superintendent is assigned to each and every home to oversee the entire building process from the preconstruction meeting with the homeowner through the final walk and closing. Every homeowner will meet with the superintendent assigned to build their home so that they have the opportunity to ask any questions and for the superintendent to verify the options and selections made. 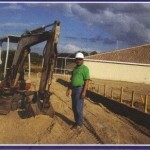 Our excavation team will dig and prep the home site according to the engineer’s instructions. Our owner, Don Hosten, prides himself on being a “dirty boots” builder and you often see him on site involved in this step. Footings are the underpinnings of the foundation walls and will support the weight of the completed home. 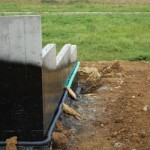 Foundation walls are the vertical components of the home that will be below the grade of the home site. After the foundation walls are poured a damp proofing membrane will be applied to the exterior of the foundation walls where they will touch soil and a drain tile system around the footing will be installed to permit ground water to be efficiently diverted away from the foundation walls to prevent undue stress on the walls and weeping of water thru the concrete. The portion of the plumbing drain lines that will be under the basement floor are also installed at this time. During framing the home takes shape. First floor decking is installed and then vertical walls are set on top to create the walls of the home. 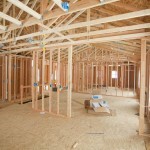 If a two story this process will be happen a second time for the upstairs portion of the home. Once all walls are built the roof will be built and prepped for shingles. During this phase our Heating and Cooling, Plumbing, and Electrical teams will install their components that will be behind the walls on the finished home. Ductwork for heating and cooling will be installed to each room, water and drain lines for sinks, showers and other fixtures will be installed, and all the outlet boxes, lighting mounts and other electrical components will be installed and the proper wire run to the main electrical panel. This meeting is a chance for our homeowners to once again meet with the superintendent in their new home and review placement and correctness of components that will be covered up in the next step. Once the city inspector and our superintendent sign off on the homes rough in components the walls of the home will be insulated. Attic insulation is installed after drywall. Drywall is hung to create the final wall surface and several days will be spent to mud and tape all seams. Then the ceilings and walls will be textured, sanded and prepped for paint. This phase of construction will seem like it takes the longest, but it does so to ensure a great final product. Somewhere immediately before or after drywall the exterior of the home will be finished with materials selected. At this point trim and cabinets will be installed. 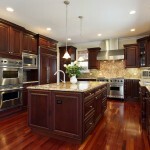 This includes all interior doors, base moldings, door trims, and other trim options that were selected. The paint team will paint all trim and stain any handrails before moving on to the walls of the home. At this step only the first coat of paint will be installed. Final-coat painting and touch up will occur immediately before the final walk to ensure a beautiful finish. In this step all the finish materials will be installed including counter-tops, hard-surface flooring, plumbing fixtures, and lighting. Carpet will be the last finish component to be installed. During this phase the superintendent will do a thorough walk of the home and make a punch out list of last minute touch up items that our team will complete in order to present the home to you at the orientation/final walk. A final, thorough, clean of the home also takes place at this point and includes all interior rooms, basements spaces, and exterior components including windows. Driveways, sidewalks and patios usually are installed at the end of the process so that we can ensure the least amount of traffic on these items before the homeowner moves in. Similar to exterior concrete, decks are installed towards the end to minimize foot traffic. Landscaping and fully sodded yard are typically installed before the orientation/final walk (weather dependent). This meeting is for the superintendent to present the home to the homeowner and to explain functionality of components within the home. On the scheduled closing day, the homeowner will meet with the Allegiant Homes, Ltd team to review warranty information and receive their keys to their brand new home.